PocketFullOfApps | ‘Rabbids Big Bang’ from Ubisoft is Coming to iOS on October 17th! ‘Rabbids Big Bang’ from Ubisoft is Coming to iOS on October 17th! Just recently Ubisoft announced that their upcoming game, Rabbids Big Bang, will be released on October 17th for iOS at only a mere price of $0.99. In Rabbids Big Bang, Earth is not enough for the Rabbids, so instead they’re going to space to use their new playground. Players will maneuver the Rabbids using jetpack boosts and the gravitational force of planets, to avoid catastrophic accidents you’ll need to fly around obstacles and explore the edges of the galaxy. 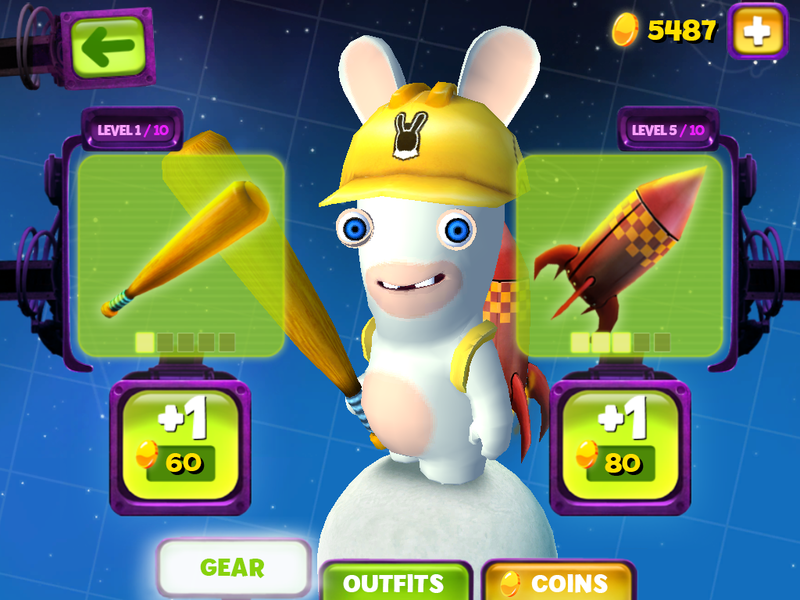 Rabbids Big Bang offers 150 different missions and there’s plenty of customization options to select from. Jetpacks can be upgraded for an added boost or purchase disguises, new outfits and looks to customize the Rabbids. Last but not least, we’ve assembled a gallery containing the seven screenshots that Ubisoft sent us which you can check out to get a better idea of the game. Knowing that Ubisoft makes quality games, it’s safe to say that Rabbids Big Bang will be a hit on iOS and mobile platforms. Like always, we will keep you updated as we get more information. Entries (RSS) | Comments (RSS) | 84 queries in 0.855 seconds.